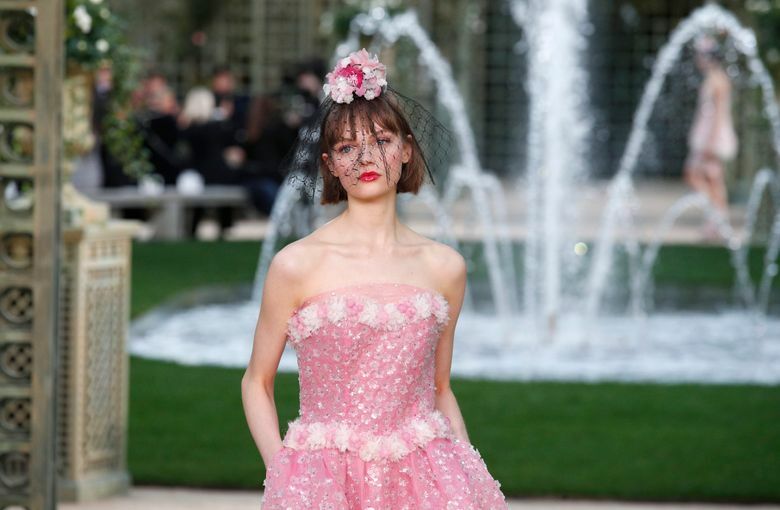 PARIS (AP) — Rose scents mingled with celebrities such as Marion Cotillard, Sofia Coppola and Rita Ora at Chanel on Tuesday as showman Karl Lagerfeld recreated a verdant garden to showcase his bucolic couture designs. 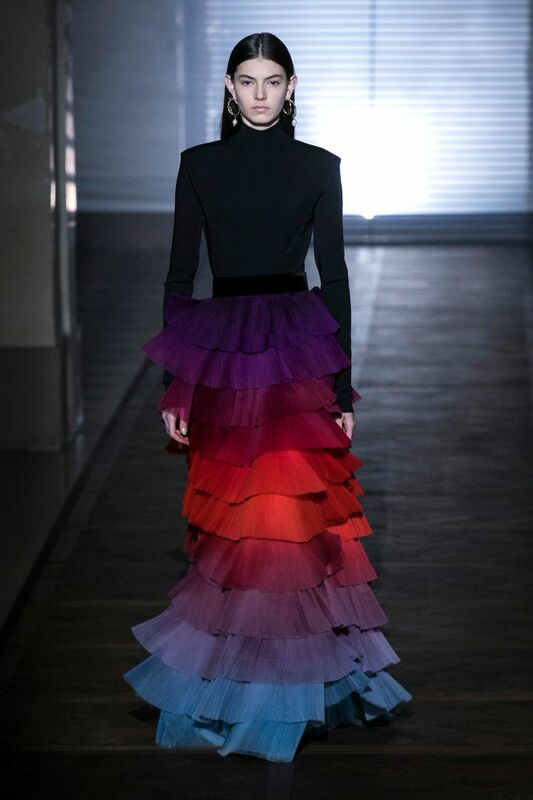 Elsewhere in Paris, Givenchy’s new designer unveiled her highly anticipated couture debut. 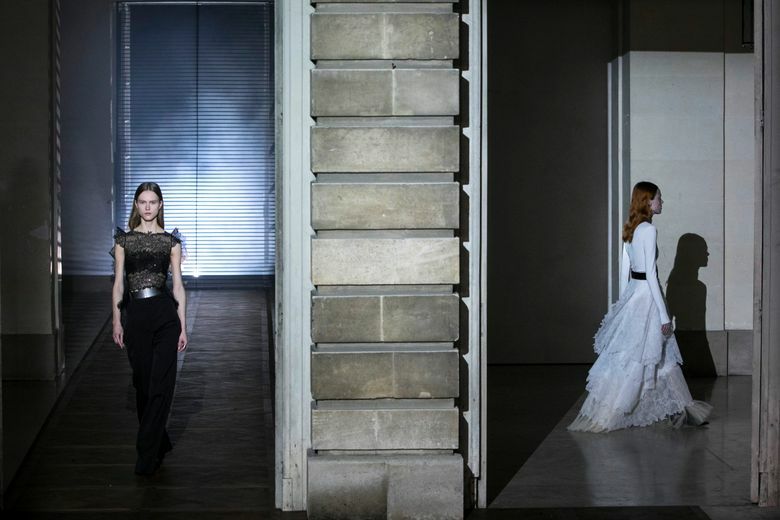 A spooky, floodlit chateau in Paris’ historic Marais area was the venue Clare Waight Keller chose to stage her first couture show since being appointed creative director at Givenchy last year. Guests were led up a dimly lit stairway as discordant music played to a mysterious hall with shimmering crystal chandeliers. The edgy music and venue represented the future and the past. 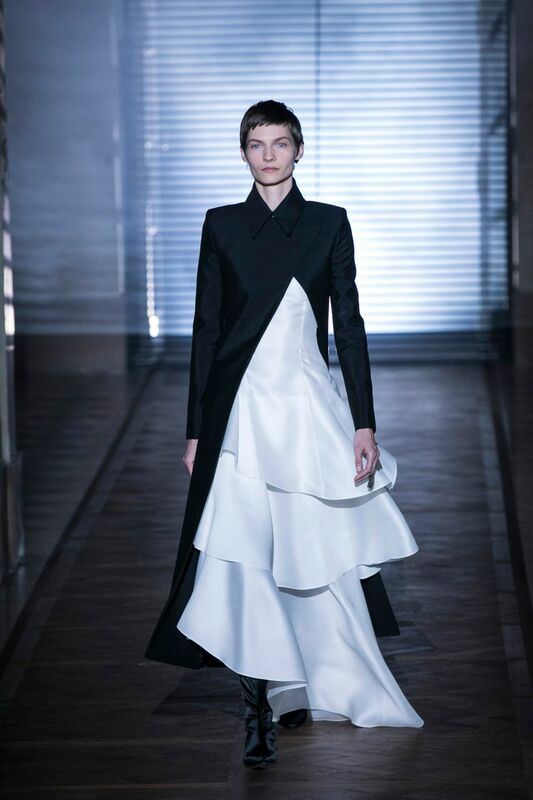 The sublime couture creations harked back to the designs of house founder Count Hubert de Givenchy — but Waight Keller infused them with a fashion-forward touch. The house’s signature sharp shoulder — here, often on shoulder-draped coats — was a running style in the diverse looks that mixed hard and soft. 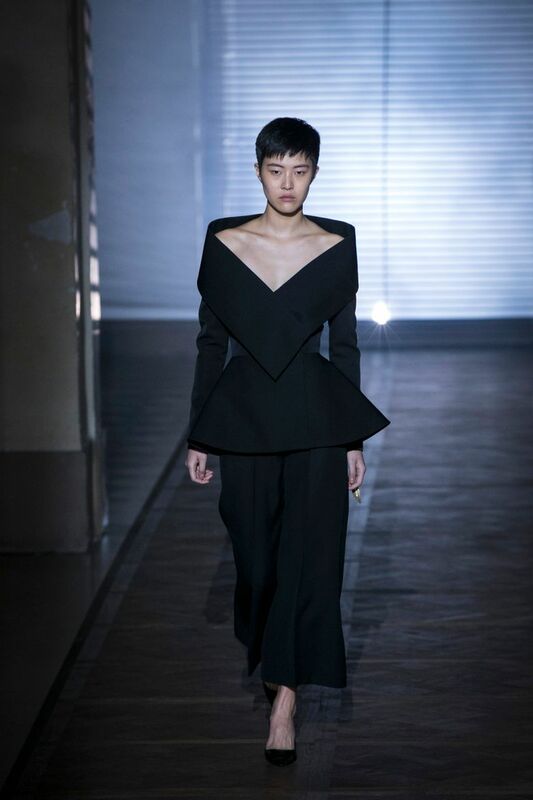 In the more architectural moments, Waight Keller evoked the spirit of Givenchy’s mentor, Cristobal Balenciaga. Lines — rigid bodices, cinched waists and a hard V-shaped decollete — fused with delicate materials. 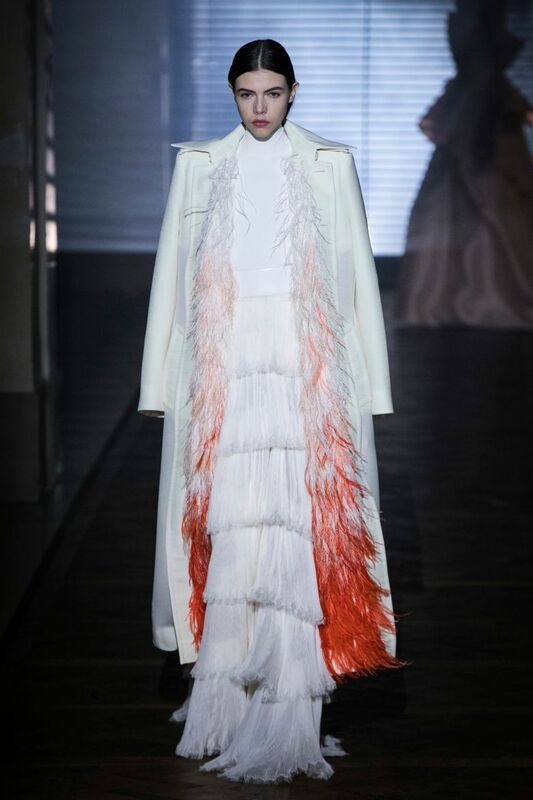 Feathers flashed vermillion peeking from the inside of a coat and a softly tiered full skirt bled from purple to electric orange and cobalt blue. 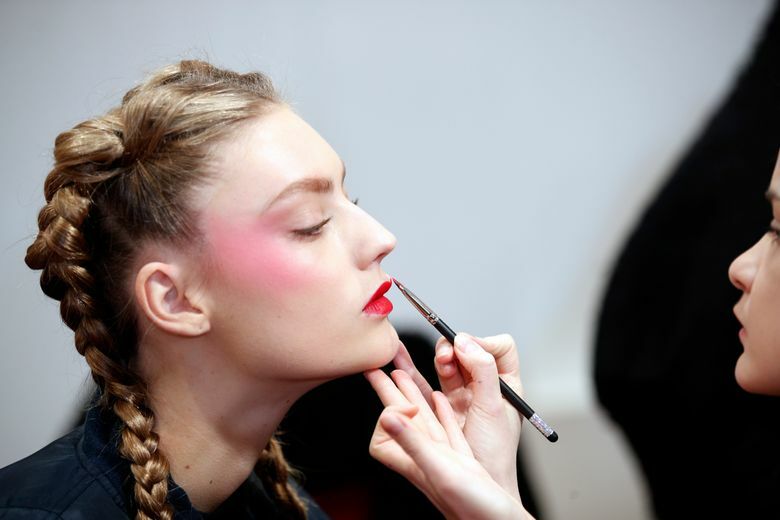 It made for some sublime looks that remained highly feminine at all times. Dark romance was at the heart of this accomplished display, which was possibly the best seen all season. 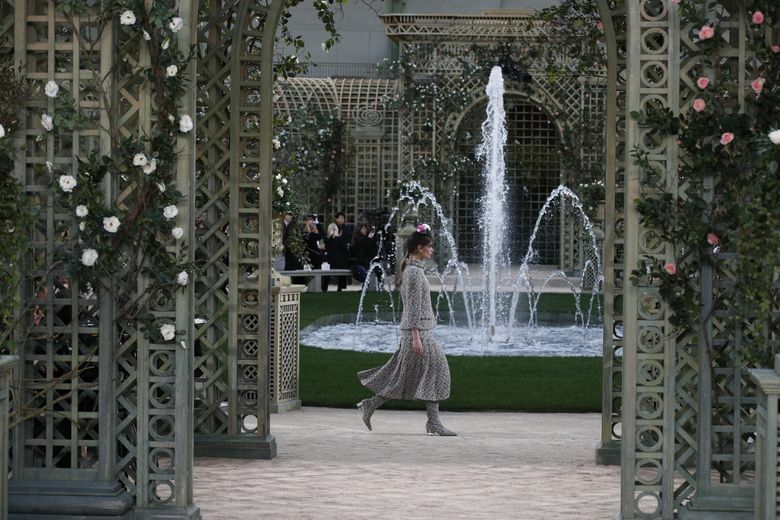 Chanel’s fragrant garden featured architectural wooden arbors, white roses and a babbling water fountain. 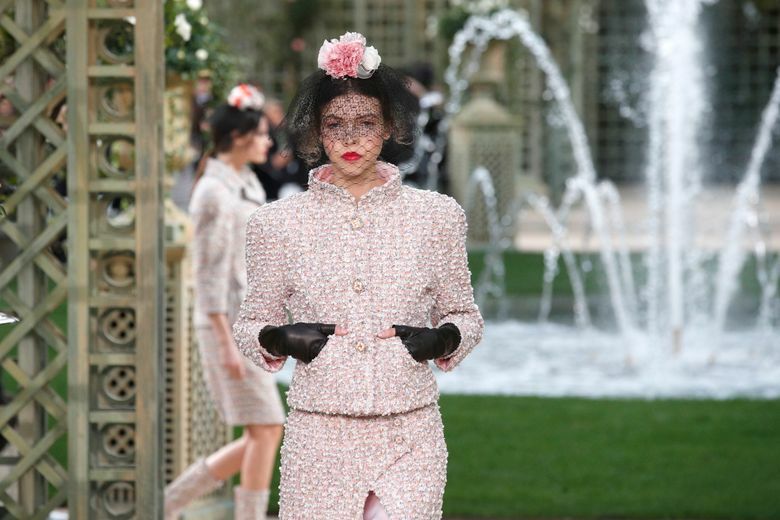 Inspired by the geometric curves in the furniture, Lagerfeld went back to nature — and to Chanel’s couture roots — for a display of pure drama constructed with geometric detail. 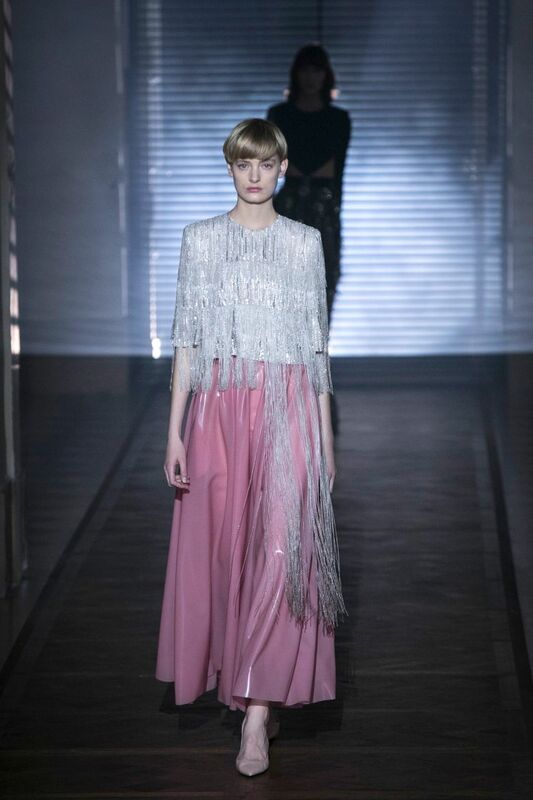 The stone-colored clothes teamed with soft floral embroideries and frothy details. Models including Cindy Crawford’s daughter Kaia Gerber wore sweet pink, white and purple posies in black tulle hair-pieces. 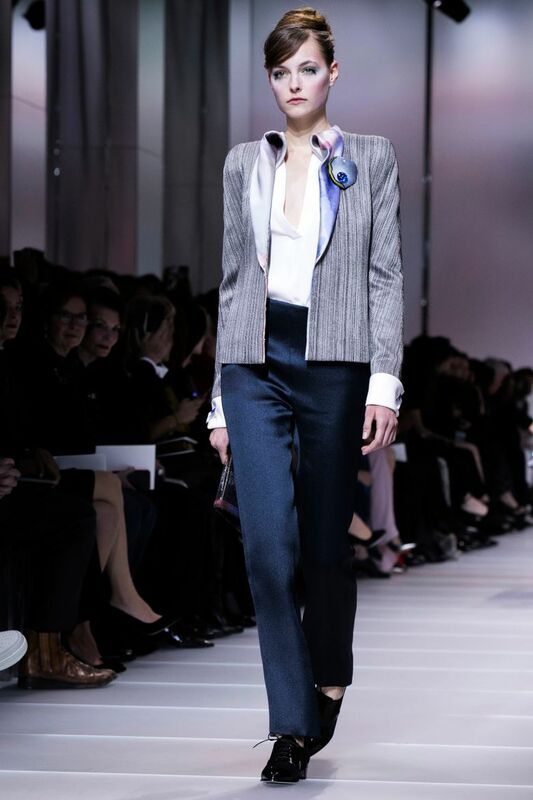 The devil’s in the detail and this season, Chanel was all about the sleeve. Kruger plays a steely woman whose life falls apart after her husband and son are killed in a bomb attack. 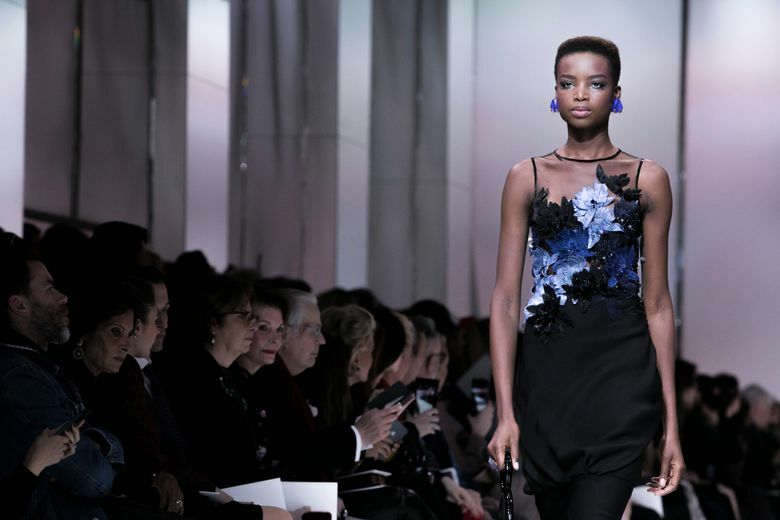 The German-born actress, who attended the Armani Prive couture show in a black tuxedo and sequined gown, said that this film “definitely” comes at a good time for feisty female roles in cinema. “It’s a very strong female role,” she said. “The protagonist was originally written for a man so it was changed for a woman, which is always great,” she added. Actress Monica Bellucci stepped onto the checkered chess board set in a vivid red lace Dior gown, while model Bella Hadid stunned in a revealing black tulle shoulder less dress, hugging singer Courtney Love effusively. Guests in check face masks that sometimes impaired vision negotiated around giant 2-meter chess pieces, faceless dancing performers and hanging surrealist sculptures in the marquee venue that was also used to showcase the historic design house’s spring and summer couture styles. 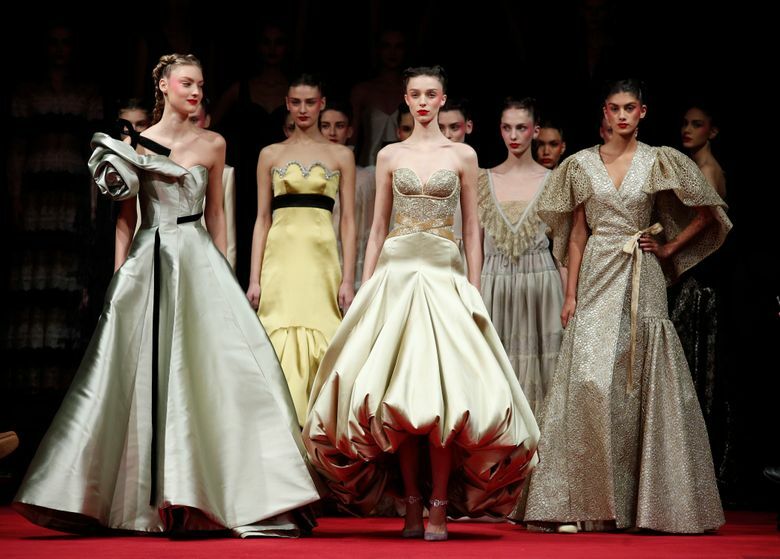 The red carpet said it all: French designer Alexis Mabille turned on the glamour for a display of classic couture gowns. The styles were firmly set to the 1950s — the years following the austerity of World War II that produced long exuberant lengths of fabric, hyper-femininity and hourglass silhouettes. 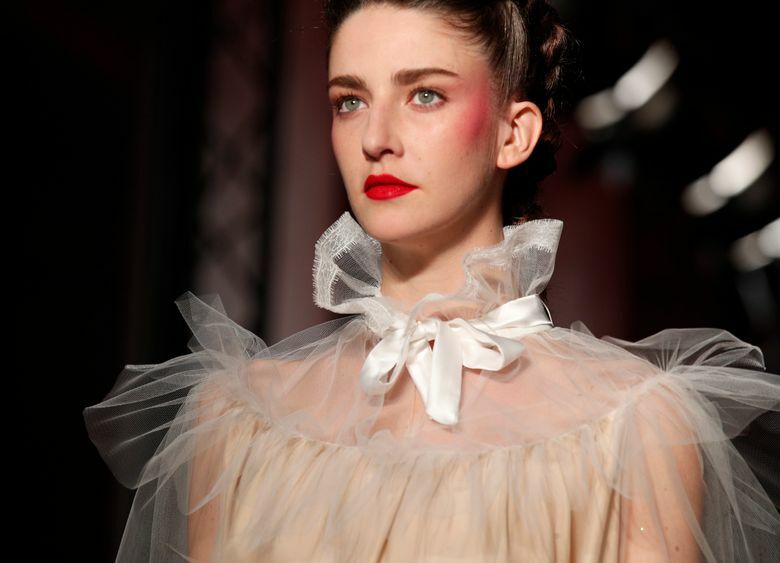 A floor-length satin gown in coral sported a giant floppy bow at the waist, while one in dark cobalt saw an abbreviated take on a fifties jacket as a bustier and was paired with full length evening gloves. Mabille didn’t forget to have fun. 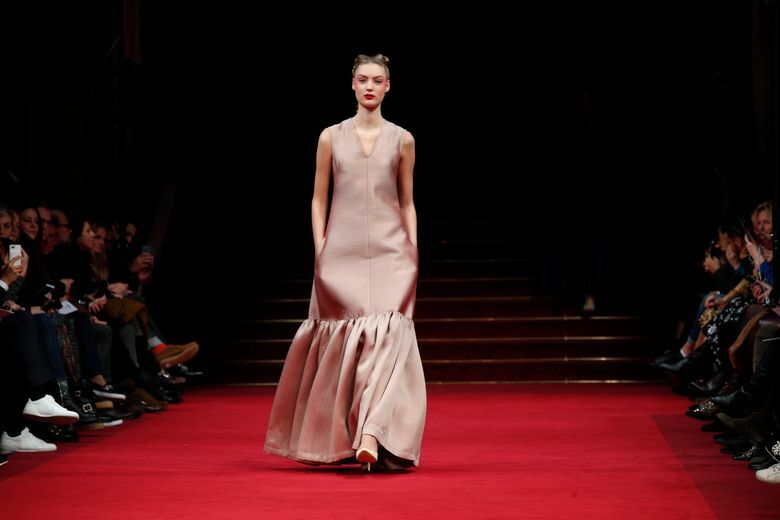 A series of balloon gowns — with curved hems gathered around inside — were the strongest pieces in the show. Each consecutive skirt sported an even bigger explosion of fabric, until the show reached a dramatic crescendo in a circular bottle green gown that spread out from the bust. Even a fashion master can have off days. 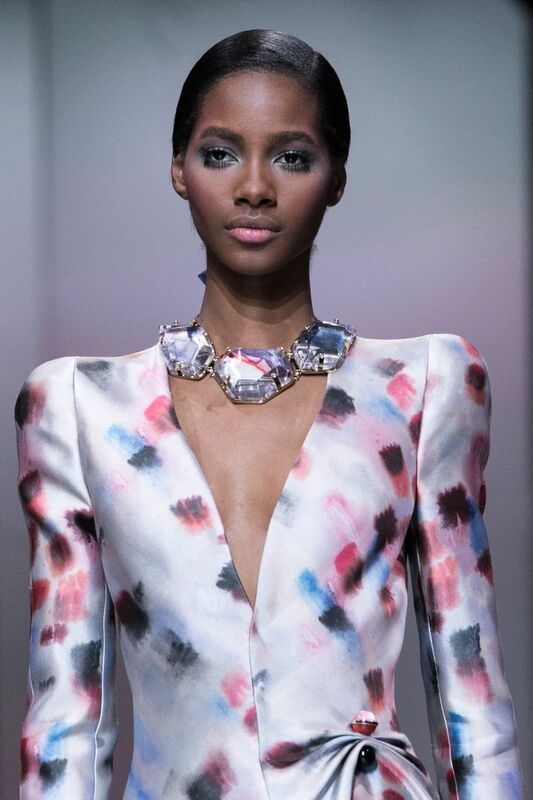 Tuesday was a mixed couture bag for Giorgio Armani, who explored the theme of watercolor in an exhaustive collection of shimmering pastel gowns that combined too many divergent ideas. 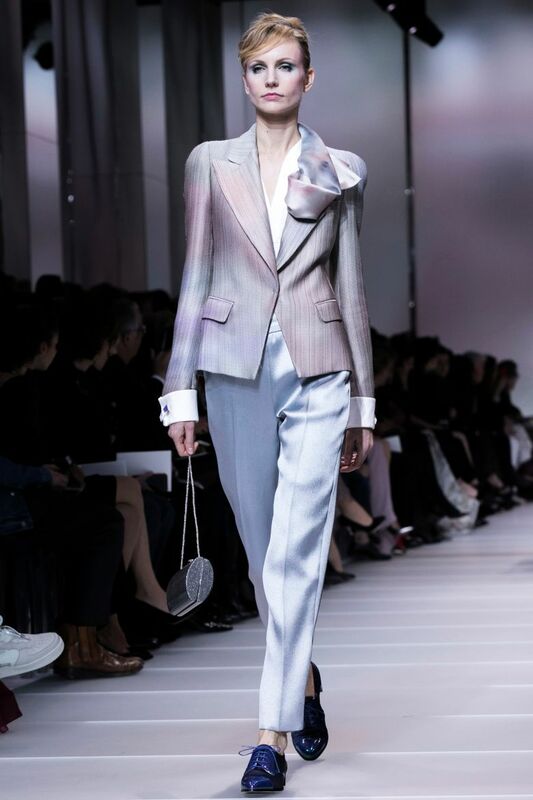 Armani’s best looks kept it simple. 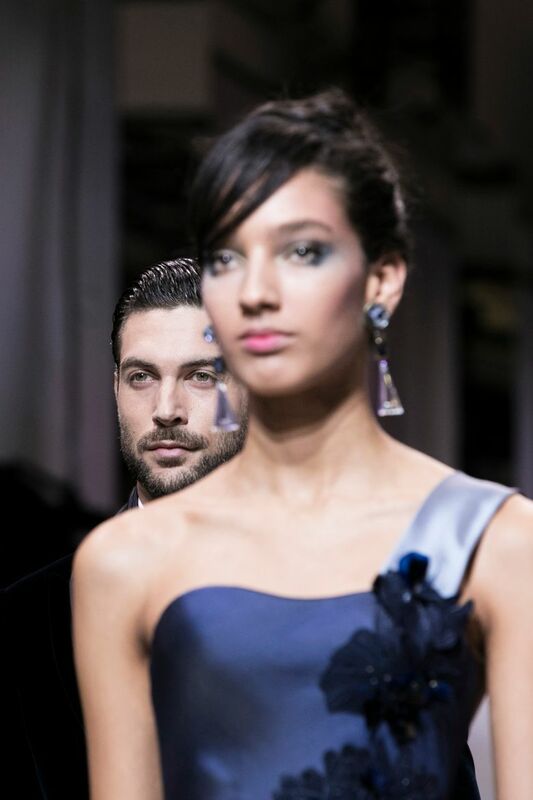 A minimalist satin bodice in oyster led the eye to a dramatic whoosh of silk spilling from the waist. But elsewhere, some looks — though beautifully constructed — saw a complicated silhouette and busy patterns vying for attention. Nevertheless, it was a hit for celebrities such as Marion Cotillard and Isabelle Huppert, who applauded vigorously from the front row. Views of the sparkling Place de la Concorde delighted guests, including model and actress Poppy Delevingne, socialite Olivia Palermo and actress Morgane Polanski, the daughter of director Roman Polanski.